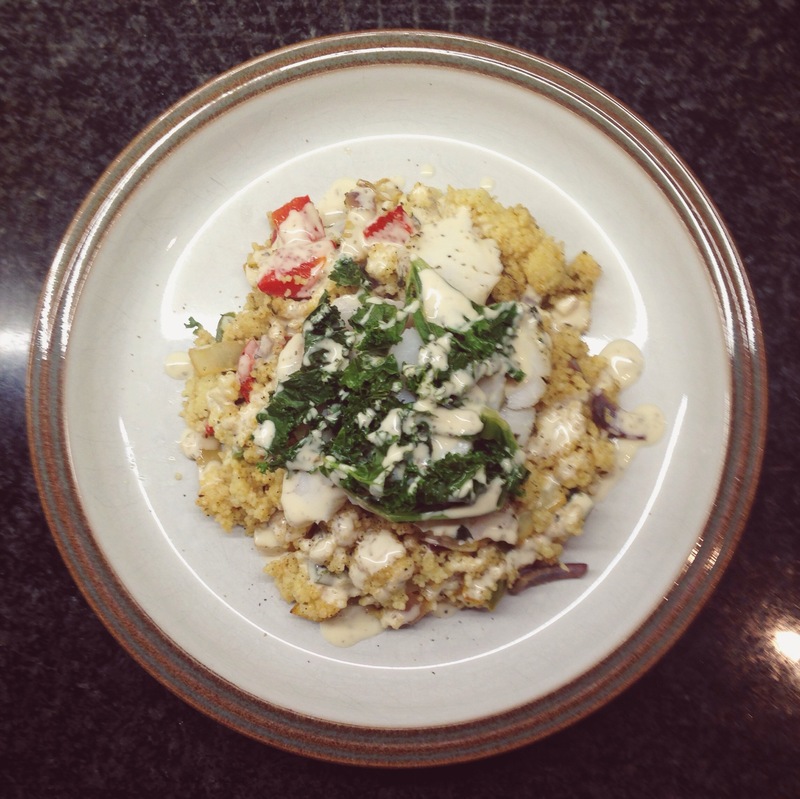 So dinner was homemade cous cous with roasted peppers, red onion and white onion. Baked cod fillet (baked in some butter, herbs and garlic) and curly kale! 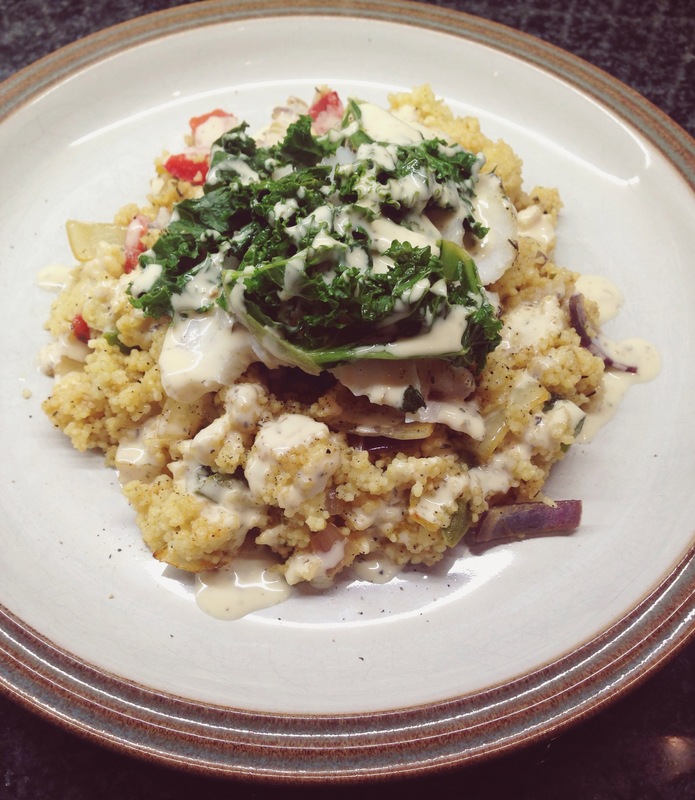 I absolutely love cous cous and it fills you up for quite a while so I didn’t need much. I had half a cod fillet and about a handful of curly kale – yummy! I added some pizza express house dressing just as a glaze. 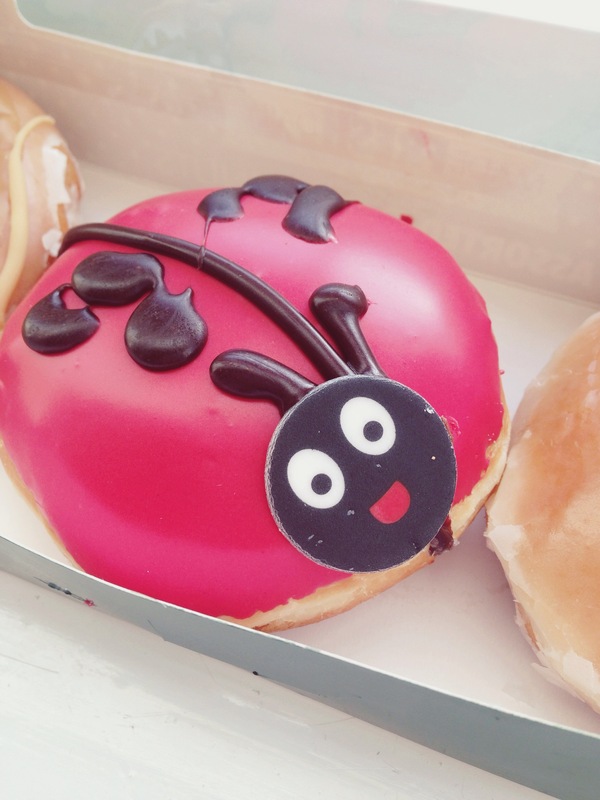 For pudding – more unhealthily we had some Krispy Kreme donuts which I picked up in tesco earlier in the day. 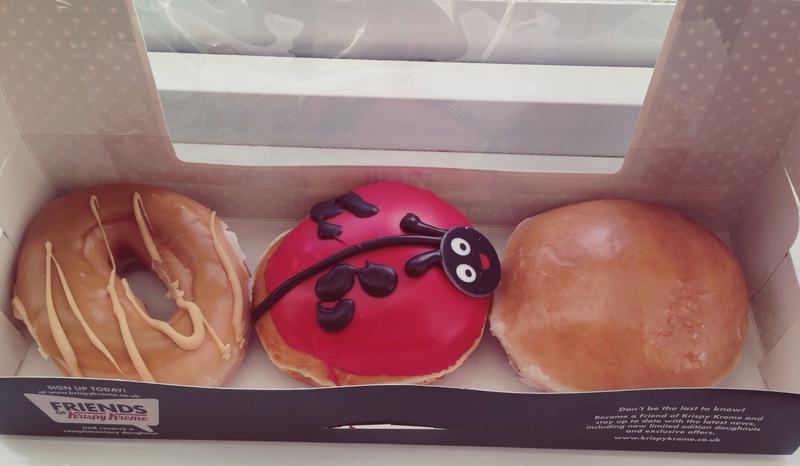 I had the toffee ring donut, Ole had the raspberry jam one and Jax had the ‘lovebug’; which I found so cute and amazing he just had to have it haha! Has anybody got any other recipes including cod? Or any similar fish? I’m starting to go crazy on Pinterest looking at healthy recipes and dinners haha! Previous postObligatory Pancake Day Post!